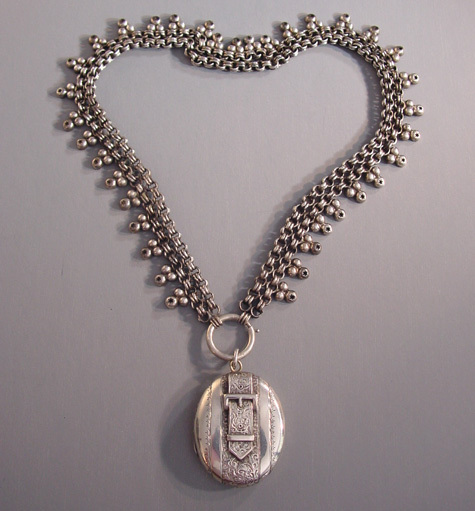 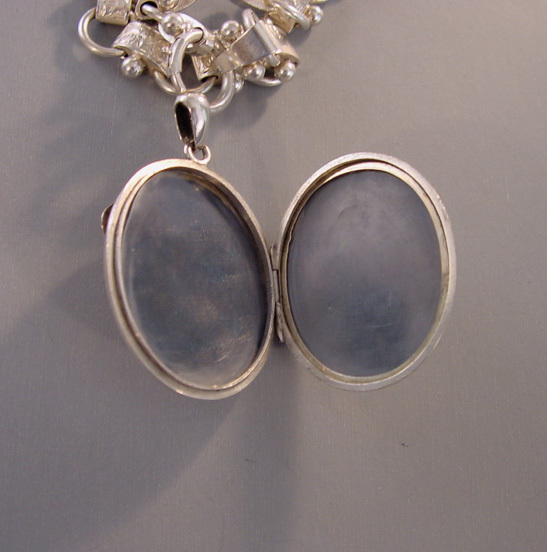 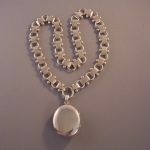 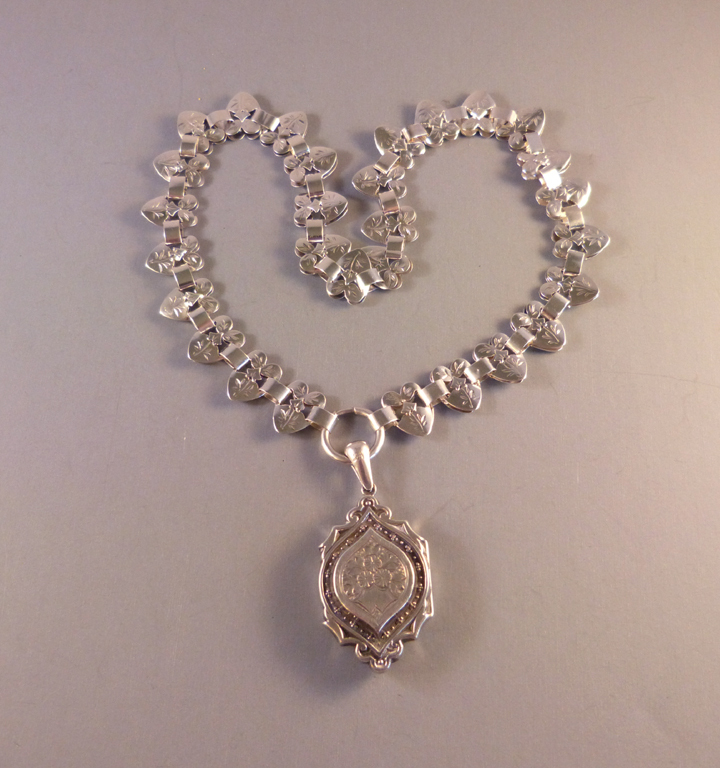 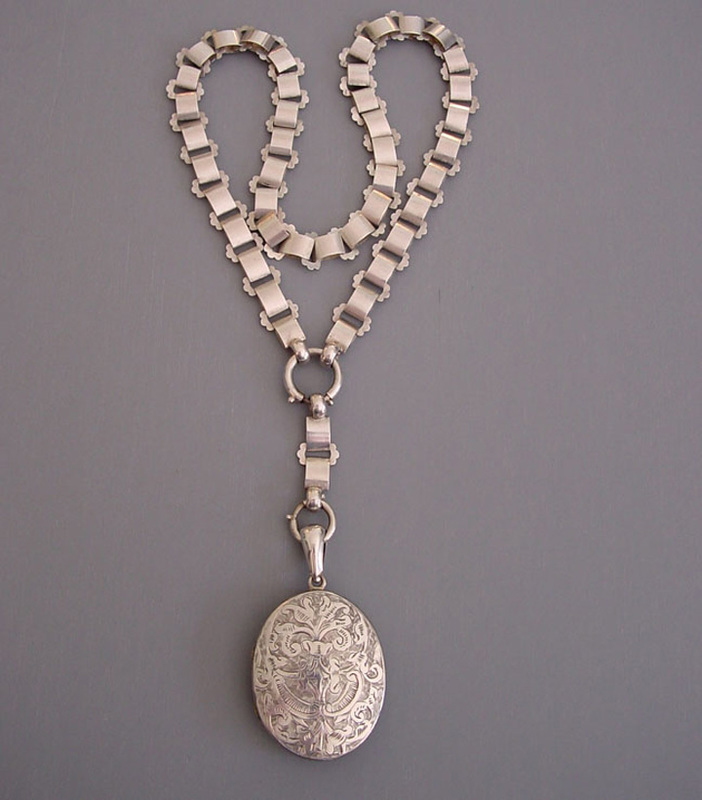 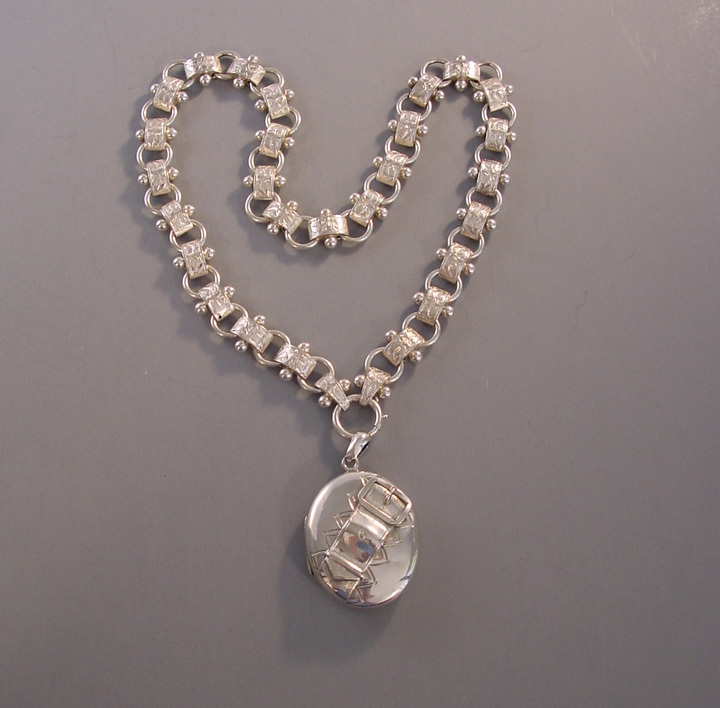 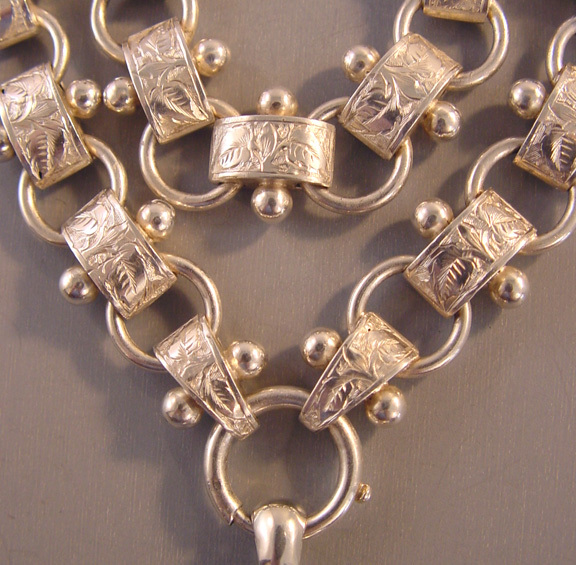 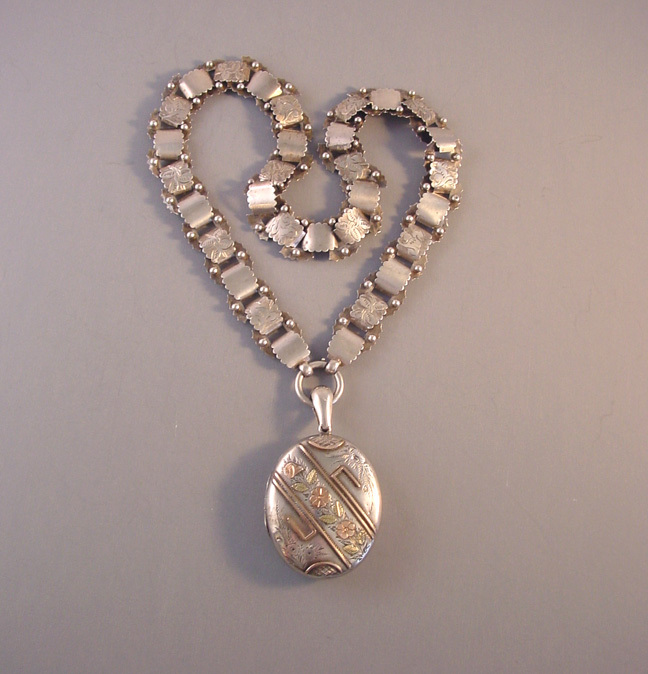 VICTORIAN sterling locket and collar, the locket with buckle motif and the collar with puffy links, each decorated with etched leaves and a beaded edge, circa 1880s. 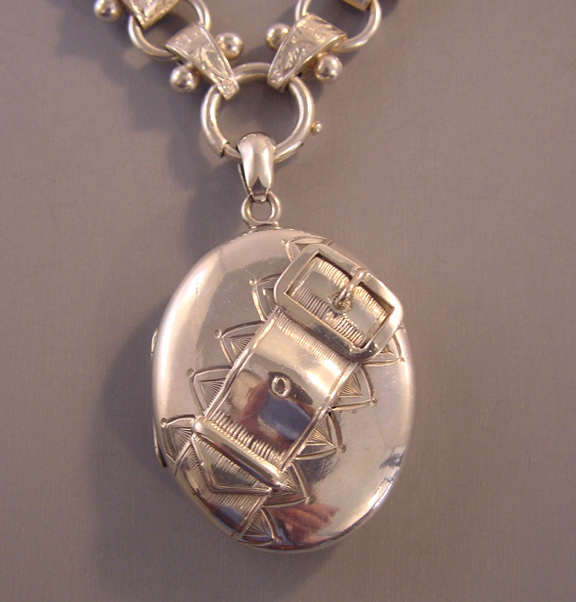 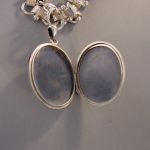 There are fittings inside the locket for 2 photos, and the locket is 1-5/8" by 1-1/4", with some very shallow dents on the back. 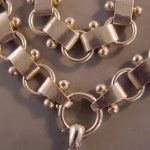 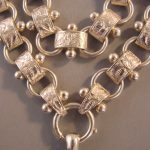 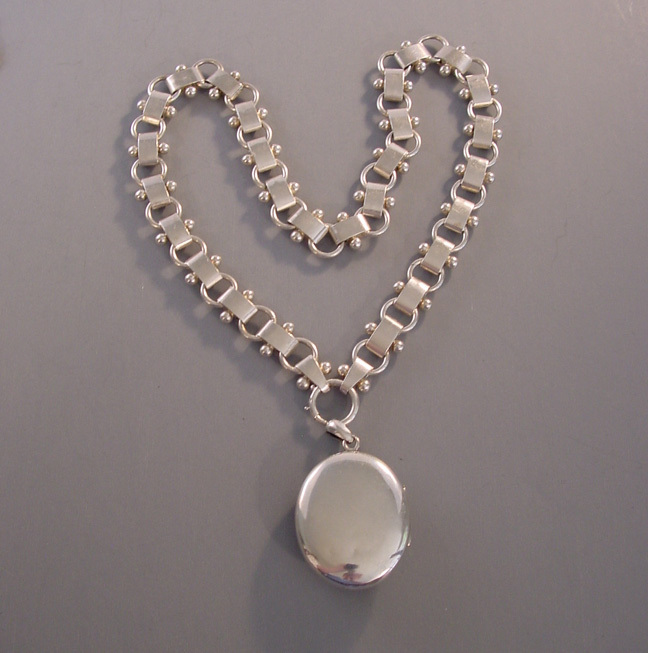 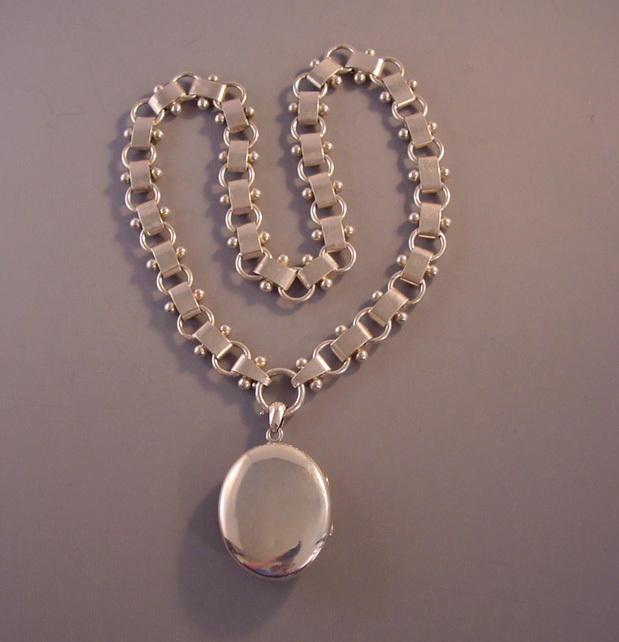 The collar is 19" by 1/2". 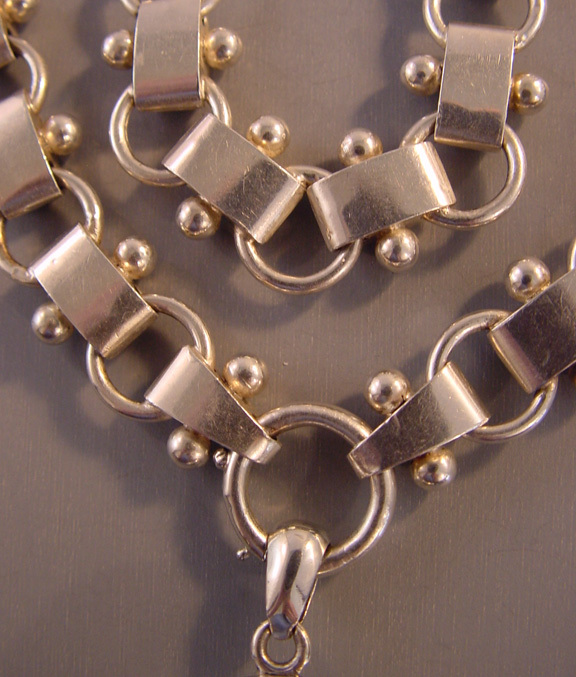 The buckle symbolized loyalty, strength and loyalty.